On 9 June 2018, TimeTec Team participated in a Morning Talk Session hosted by Fiabci Malaysia at Gurney Paragon Mall, Penang. Fiabci is a worldwide network whose membership is open to all professionals involved in the property industry, enabling its members to maximise their business opportunities by sharing information and contacts on local, national and international levels. As Fiabci’s objective is to foster goodwill and understanding with international organizations and promote progress in developments through better systems, TimeTec introduced two of its most popular solutions, the ever comprehensive Smart Community System i-Neighbour and the state-of-the-art TimeTec TA. 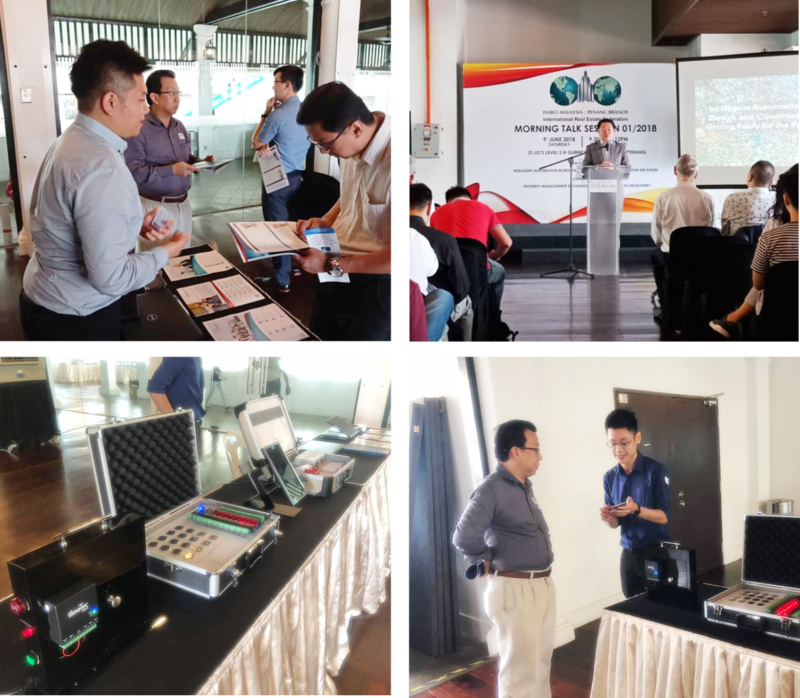 That said, property professionals present at the event were very much intrigued by i-Neighbour, especially its wide array of Internet of Things (IoT) devices such as Guardhouse Tablet Panel, Smart Siren Kit, Smart Lift and many more. This is due to the fact that all of the IoT stated can be integrated into i-Neighbour and can even be accessed using just the smartphone; paving the way into a Smart Community Lifestyle. What’s more, there are also tons of handy features such as Report Defect, Facility Booking, Maintenance Payment, Panic Button and etc just waiting to be explored in i-Neighbour. On the other hand, TimeTec TA has also garnered its own spectrum of audience as well. TimeTec TA’s cloud-based operation allows for clocking to be carried out on the go thus bringing the workforce management to a whole new level. Now with an Internet connection, both employers and staffs can have easy access to the attendance data, thereby reducing instances of tardiness, absenteeism and other counterproductive work behaviours through its automated time attendance system. Click the link below to find out more advanced features that are implemented in TimeTec TA.